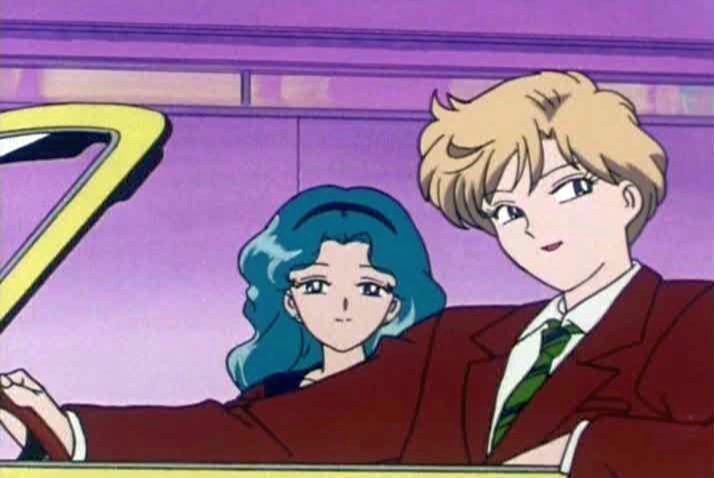 One question I get often, and don’t get around to answering, is about where Haruka and Michiru’s money comes from, and just how rich they actually are. As much as I’d love to actually give you an answer to this question with some hard facts, maybe a few graphs, and interesting references for you to read through, the simple answer is: we don’t know. Other than that, according to the manga, they apparently have “a patron” that covers their expenses,1 Ms. Takeuchi is mum on the whole issue of where their money comes from. The anime doesn’t even bother to address it. So as much as I’d love to just rant and rave with my own baseless theories,2 it really wouldn’t do anybody any good. That said, I can talk about how much their rent costs, and what that would actually mean in the rental market. And that can give us at least some idea of how much we’re talking about here, right? Before we get into the actual rent, I’d like to just share with you one neat bit of trivia: Haruka (Apartment 1127) and Michiru’s (Apartment 1306) apartments get their numbers from their birthdays — January 27 (1/27) and March 6 (3/6), respectively. The extra 1 at the beginning is probably just added because it’d be pretty lame for Haruka to live on the ground floor. So how much is their rent? Well, we only have a firm number for Haruka, who comments in the manga that her rent is 1 million yen per month. 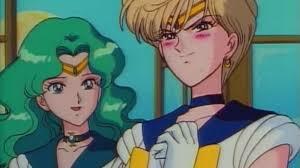 As for Michiru, I suppose we’ll just have to assume it’s around the same. Considering their equally extravagant lifestyles, I’d say that’s a safe bet. Now, one million anything sounds like a lot, especially when we’re talking about something you pay per month. But first we need to see what that’s like in 2017 money, since inflation is kind of a thing. Does she look like she follows conventional budgeting wisdom? Of course not. Assuming that Haruka was following this rule — and it’s pretty unlikely that she is, because again, she’s absurdly wealthy and a patron is paying for all of her stuff anyway — that would give her an approximate monthly take-home income of 2,918,335 yen ($26,220), or a yearly net income of 35,020,023 yen ($314,645) in today’s money. This isn’t chump change, by any stretch of the imagination, but I’m starting to wonder if Ami might actually be richer. But we’ve kinda lost track of our original question. Just how absurd is it for Haruka to be paying that much in rent? Well, like all money-related matters for those who live in Tokyo, it’s surprisingly not all that absurd. For those willing — and with the means! — to pay, there are actually quite a few places on the market right now that are willing to take your million yen in exchange for a place to live. 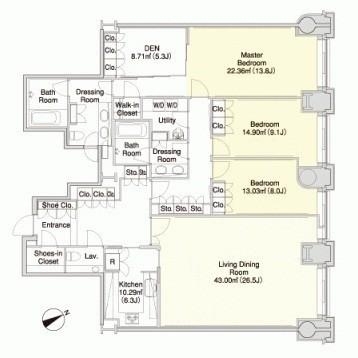 If that’s not enough to make you shudder, there are plenty of places that charge much more, with prices going on up to double or triple that for the more high class units. So where does that leave us with our original question? Well, in terms of a story about ordinary junior high school girls fighting the forces of evil with the power of love, Haruka and Michiru live quite the jet-setting lifestyle. But in terms of the lifestyles of the rich and famous, it turns out that they actually live pretty modestly. 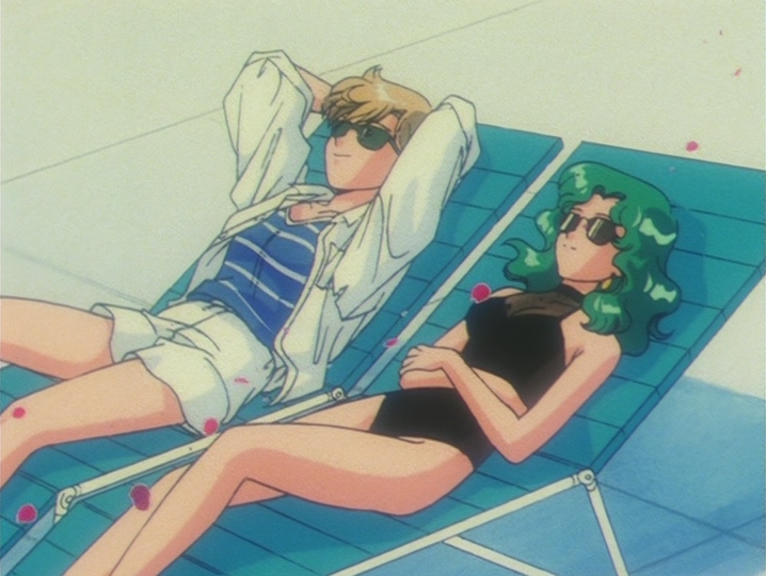 I know we’ve talked time and again about how absurdly wealthy the Sailor Soldiers are, so I’d like to take a look at the situation from a different angle: Who do you think is the most “normal” of the cast in terms of having a non-extravagant home life? I know what my answer is, but I’ll save that for the comments below! ← What Inspired the Design and Name of the Legendary Silver Crystal? Most normal has got to be Venus! Which… was totally my answer! She actually lives a pretty normal and modest lifestyle, at least compared to all the insanity around her. If we include side-characters, I guess it’d have to go to Melvin Umino. Motoki’s family owns an arcade and cafe, so he’s out. Naru literally lives in a jewelry store, so no. Haruna might also be a candidate? But the other members of her family are pretty elite. Do we know anything about how Umino’s family lives? Motoki’s family may not necessarily be rich, but they’re probably ahead of the Ainos and Tsukinos at least. How do you know Haruna’s family is rich? Do you know anything about Yuuichiro’s family? If you includes ALL side characters I’m sure there are some with pretty modest homes. As far as I recall, nope, we know practically nothing about Umino’s home life, so basically he wins the “non-glamorous lifestyle” contest simply by the fact that we don’t know anything saying otherwise. Regarding Motoki, he’s definitely well off. His family owns both a popular arcade and cafe, his sister (Unazuki) goes to the same elite school as Rei, and he goes to the same elite university as Mamoru. So no way is Motoki middle class. I never said that Haruna’s family is rich, but her family is pretty elite. Her sister, Natsuna, is the Superintendent General of the Tokyo Metropolitan Police in Sailor V. Another sister, Fuyuna, is a famous ballerina. Let’s just say that I’m really doubtful that two highly successful Sakurada girls came from a modest background. Ballet ain’t cheap. Yuuichiro is actually from an incredibly wealthy family. So he’s out too. thanks for the info! I had forgotten about Haruna’s family, and had never known Yuuichiro came from money… they really did make every important character wealthy, didn’t they? It’s so weird, isn’t it, that almost every character in the series is incredibly well off. And if you consider Umino to just be an altered version of Amano, then he’s out too (since Amano from Sailor V was also immensely wealthy). 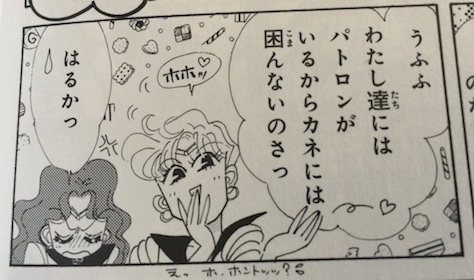 That leaves us with either “characters of the day” or maybe ChibiUsa’s friends, I guess? Momoko lived in her family’s Chinese restaurant, so you could argue either way about how they were doing financially. For me Mamoru was the one with a bit interesting financial situation. He lives in a pretty nice apartment on his own at the age of 17/18. Ok most, probably it was inherited from his parents. Also he has a car, a motorbike, has enough money to feed both Usagi and Chibiusa. But still as shown in the anime he has to work sometimes, not just save his gf/the world and go to school, but he worked as a waiter in a “far-away” holiday resort. That one job was always a bit strange to me. Why needed he to get a job not in Tokyo? My guess? He owns the resort and just working there to learn about everything works there. I always assumed that he just worked those side jobs as a way to keep an eye on Usagi. Something in the back of his mind told him that something was going to happen in a certain place, so he found a job there. Maybe he didn’t even realize it himself? I think one of the most interesting things is that, neither the anime nor manga play off any of them as being wealthy. (Other than Ami and the outers) We are just supposed to accept that the others live a “normal” life. They all seem incredibly middle class by today’s standards. Maybe that’s through an American eye though.